BANG? BLOG! As bombs bombard his hometown of Beirut, thus begins the online diary of Mazen Kerbaj, a Lebanese painter, jazz musician, and cartoonist. Throughout the summer of 2006, during the Israeli attack on Lebanon, Kerbaj published drawings, comics, and writing giving a first-hand account of someone creating during a time of intense everyday brutality. 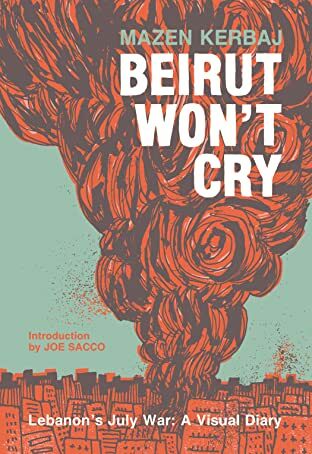 Drawn and written in English, French, and Arabic, Beirut Won't Cry shows us how an artist views the world and everything in it — his relationships, his family, and his creative pursuits — as it violently crumbles around him. 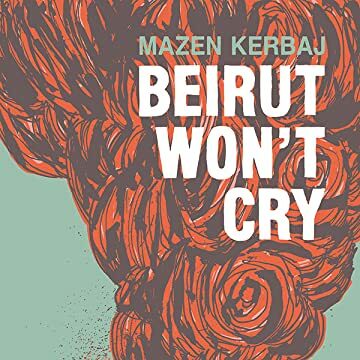 Both historically vital and hilarious, Beirut Won't Cry introduces Mazen Kerbaj's unique voice and urgent pen to an American audience for the very first time, teaching readers how to carry on and resist in times of war and oppression.